View the entire table of contents for the Nov. 30, 2018 issue. The 2016 vintage in the Southern Rhône achieves greatness, earning a classic score for reds that balance richness and electric energy. 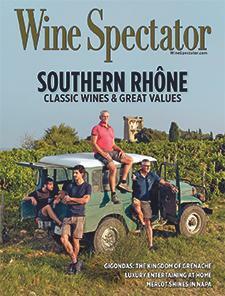 Wine Spectator's James Molesworth reports. For the full article, check out the new issue of Wine Spectator, on newsstands October 30, 2018.